2017-09-02 Most of our summer camping and hiking plans gave way to the flood this summer. Overnight July 11-12 the largest amount of rain overnight had hit our area and our house being one of the lowest ones in our particular neighborhood got the worst of it. It is now in the process of being rebuilt. 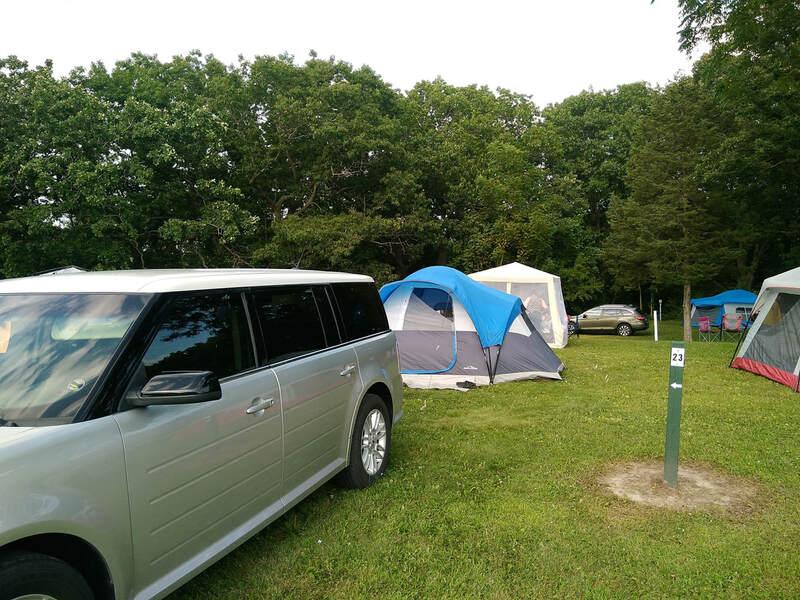 Finally, we were able to keep the plan we had to take our grandkids and a friend camping at ﻿Timber-Lee Ministries Family Camp﻿ July 18-20. Not exactly wilderness camping! The place was packed and noisy but it was still fun! I was too tired and distracted to worry about taking pictures. Also I had "made" the kids leave their electronics home and agreed myself to turn off my cell phone. so don't have many. But we have some good memories, especially of our neighbor's big thick steaks cooking over their open fire while we "enjoyed" hot dogs and hamburgers! 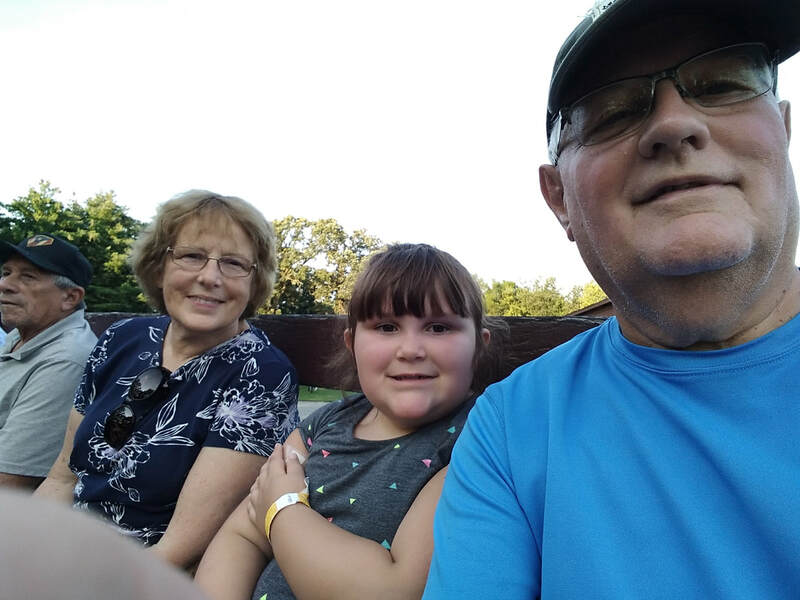 We enjoyed a hayride, or rather a hayless ride as they no longer use hay on the wagon due to allergies of some of the folks who come. 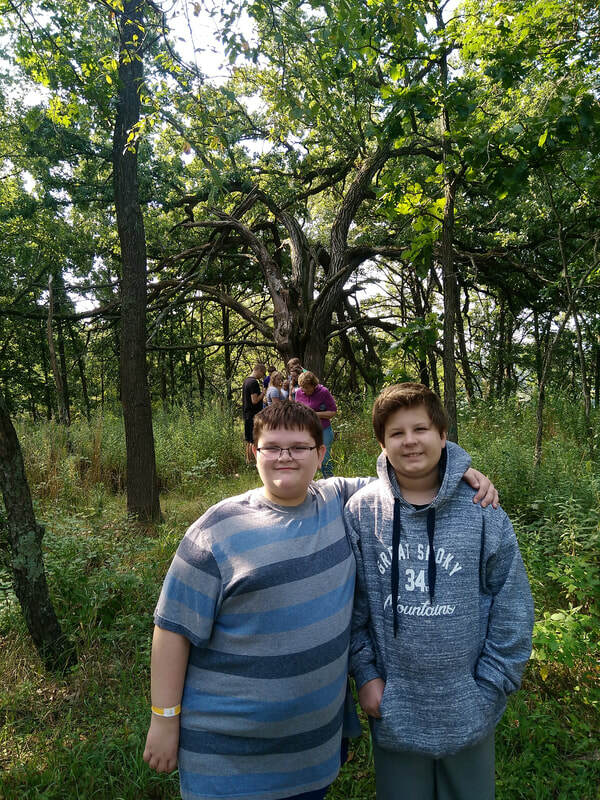 The "explorers" on the nature hike! My big accomplishment was cooking everything over an open fire Saturday night, including percolated coffee. I was so proud of myself. And the kids were impressed with my fire building expertise. That was thanks to a really nice Buck knife my son gave me with which I made lots of kindling, , cotton balls coated with petroleum jelly and lots of middle sized pieces of wood I split with my hatchet. I suspect the really nice, dry split firewood the camp sold gets some of the credit too. It was really fun and healthy to get away from focusing on our house rebuild. God's creation helps to clear the mind, soul and heart.